I had every intention of doing a very bright EDIT this week, but I just couldn’t get the puzzle pieces to fit the way I wanted! 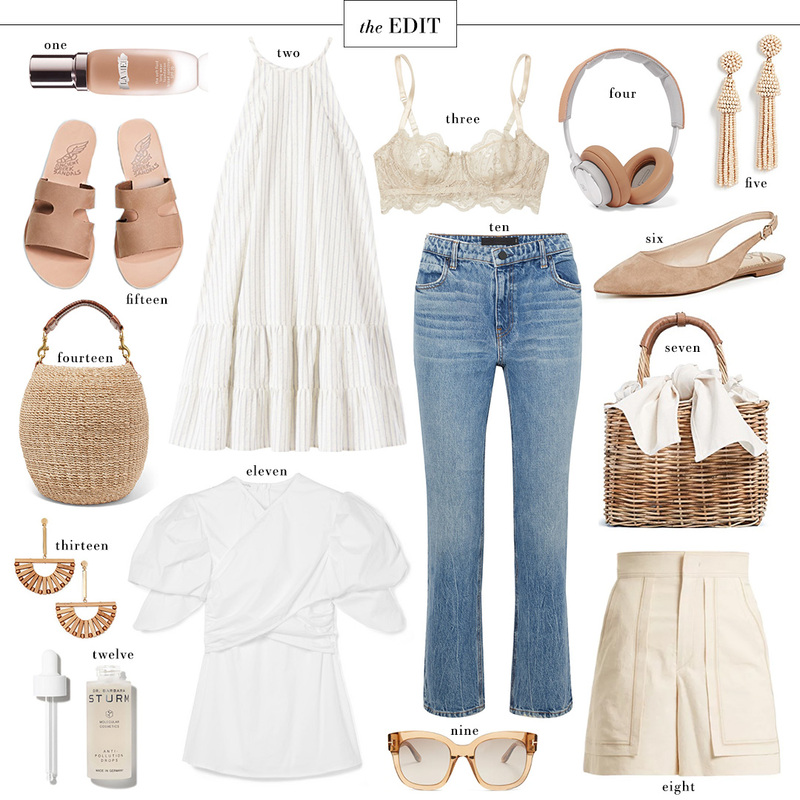 I’ll try again next week with some fun color, but in the meantime here’s an EDIT full of chic, neutral basics. Shop even more neutral favorites below! I picked up this off-shoulder dress for spring, and love the effortless look of the lightweight linen style. Stay tuned to see how I style it! Did I mention it’s under $100? Dying to add this Tory Burch jacket to my wardrobe! The color and gold hardware is right up my alley. At $100, these slingback flats are a sleek, budget-friendly option for work or the weekend! Definitely a useful shoe style. This BB Dakota blouse looks way more expensive than $50! Love the flirty flounce. Hanky Panky thongs are my absolute favorite, so I was excited to discover they came out with a more invisible style to wear under thin items. These linen utility shorts would look so cute with just a clean white tee and flat strappy sandals. Does anyone else miss flared jeans? Grab a pair of white ones for summer! Another item I picked up that I’m surprised I’m actually keeping is this jumpsuit. I’m not really a jumpsuit person, but this one is pretty flattering! Loving those sling-backs and those high-waisted shorts. Perfect neutrals!